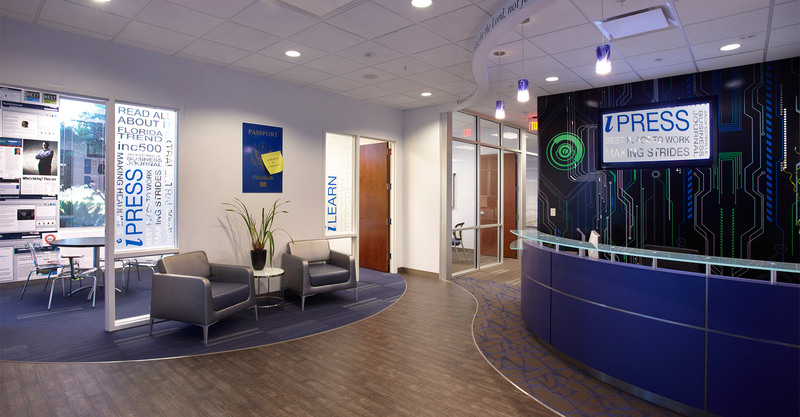 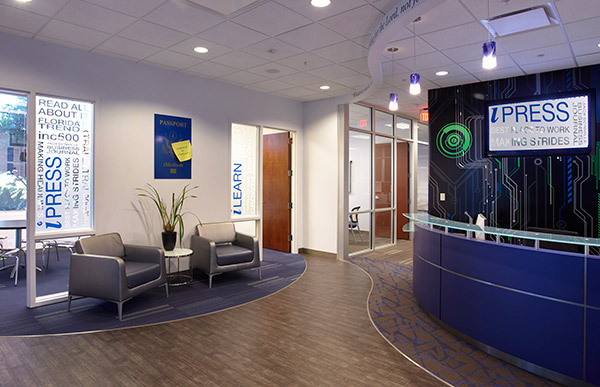 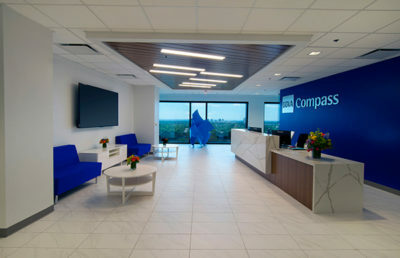 iMethods, an IT staffing and consulting company, desired an open, modern office that welcomed visitors, connected their employees, and communicated their core values and culture. 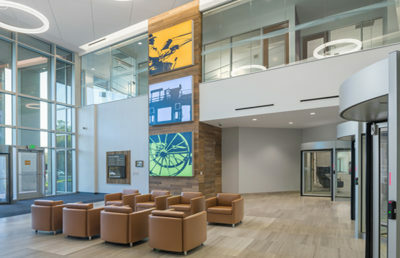 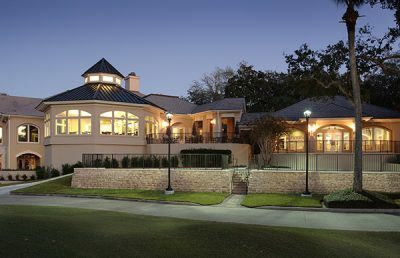 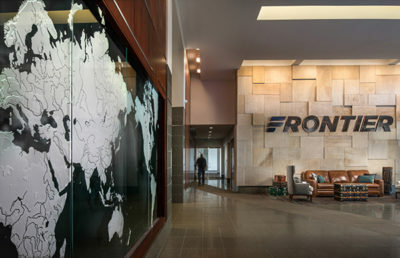 RS&H provided interior design services for several areas of the floor plan, including a reception area, interview rooms, a conference room, offices, an open office area, a break room, and a lounge. 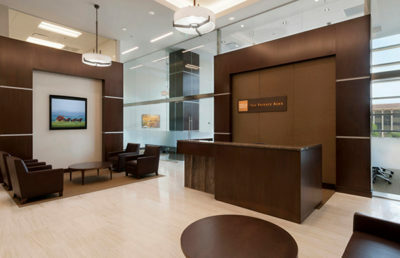 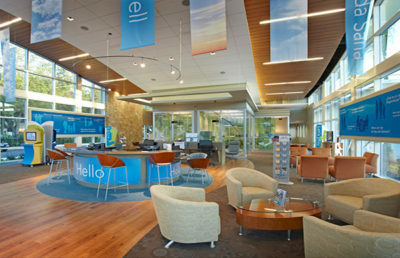 Visitors entering the office are greeted with a high-impact, captivating reception area. 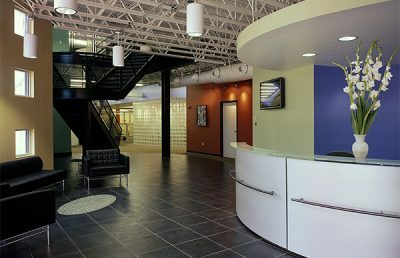 The curved reception desk with a glass transaction top and brushed aluminum standoffs and reveals inspired the curvilinear features of the floor design and ceiling soffit, giving the area a modern and inviting feel. 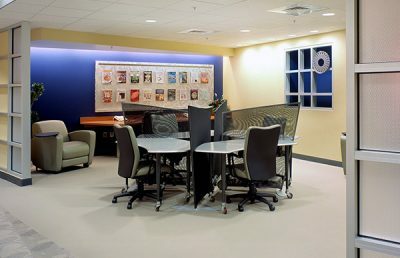 The conference room is separated by large sliding doors made of wood and glass. 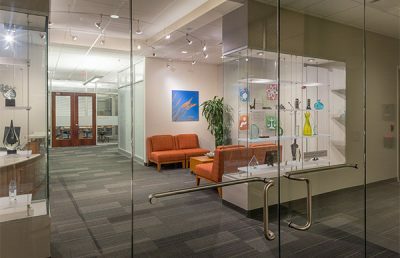 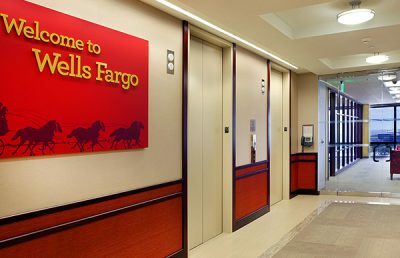 Graphic window films on the doors and large glass window panels add privacy to the space. 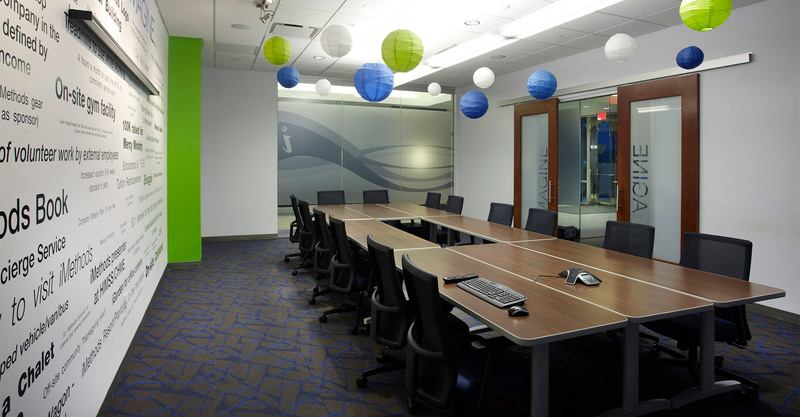 Reconfigurable tables allow for a variety of activities, including a large meeting, a training layout, or a smaller group meeting. 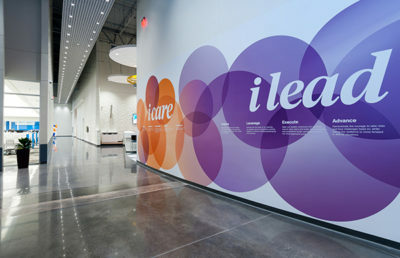 The feature wall also displays text about iMethods’ core values, mission, and history. 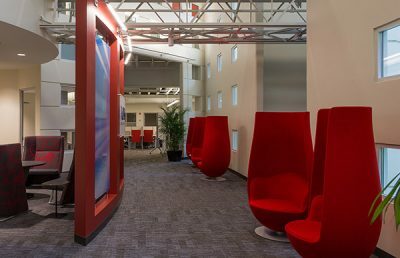 Building on the company’s employee-focused and collaborative culture, the team also designed an interactive lounge with soft seating as a place for employees to relax, play games, brainstorm, and jumpstart new ideas. 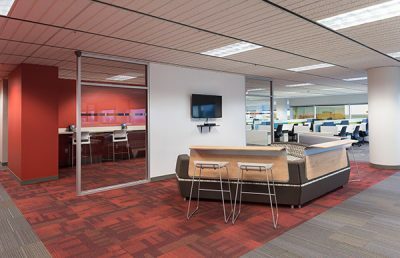 Private office walls were also given a sleek, full-height storefront to overlook the open office area, allowing employees to more easily interact and collaborate with each other. 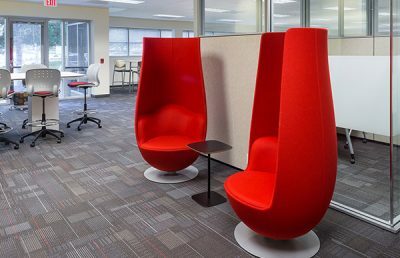 Other areas around the office received furniture improvements and contrasting finishes to reinforce the open, modern environment. 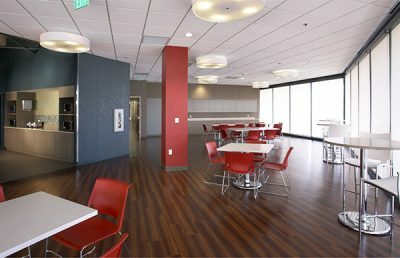 These design elements will help iMethods reinforce and strengthen their unique company culture as they continue to grow. 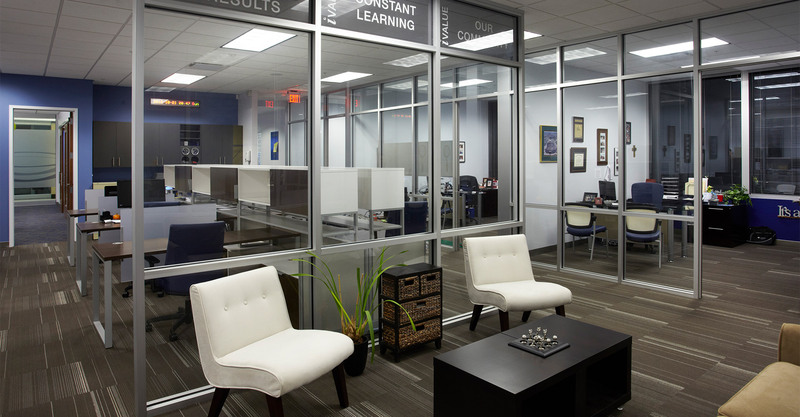 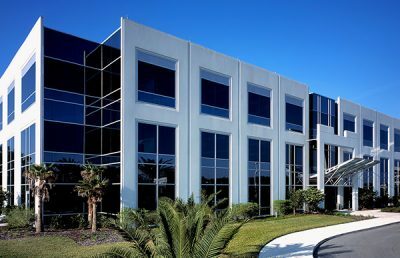 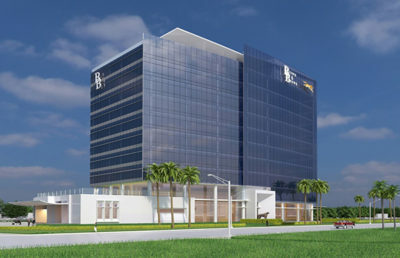 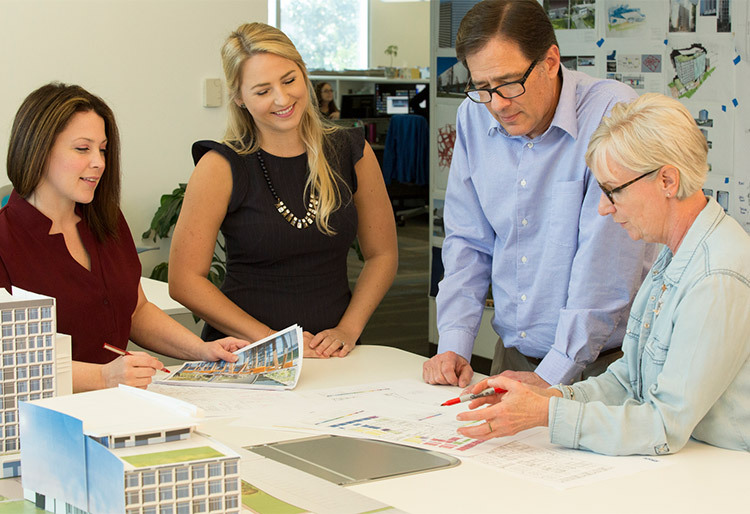 Read about the new iMethods workplace recently featured in the Jacksonville Business Journal.